I was brought up by a tomboy mom who preferred blue over pink and preached her own personal mantra of gender equality, deflating the princess spirit that may have arisen in my childhood. My mom was all about physical fitness and boys and girls playing unisex sports equally as well. She was a child in the 50s, one of three girls; she was the oldest and paraded around the house in her cowgirl outfit, including a holster, hat and boots to match. My grandmother wanted to doll her three girls up in their puffy party dresses and pampered doos. So, when my mom had her girl, pink was out of the question. I had a yellow room, plain and simple. No frills. My clothes were colored and printed, yet pink pastels seemed to be missing from the palette. Dalia, my daughter who is sandwiched between three brothers: two older and one younger is the perfect combination of being tough enough to defend herself among her brothers and tender in that sweet little girl way. 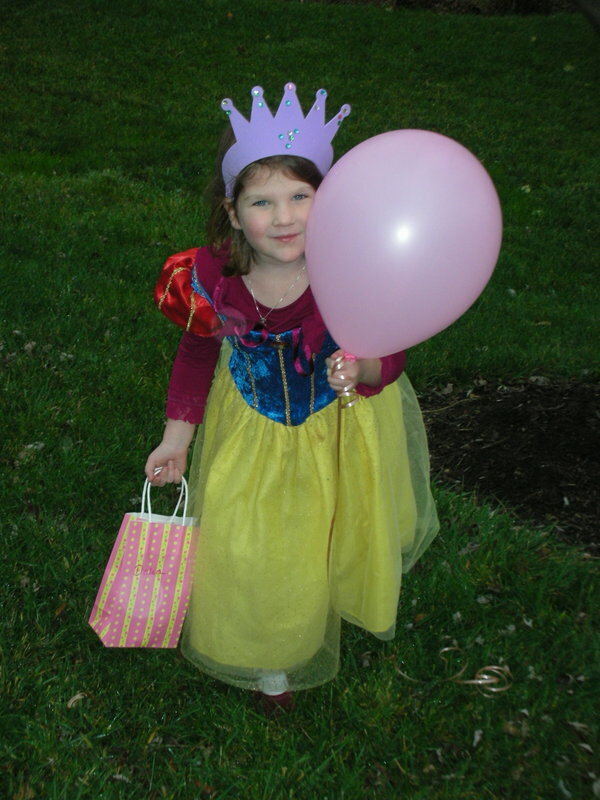 For her sixth birthday, she and I were determined to squeeze in one last princess party before she and her friends completely outgrew the fairy tales. Singing Cinderella strolled graciously into our party as a welcomed surprise guest. Dressed in her powder blue ball gown, silver slippers and a tiara, she truly enchanted our group of girls. Eyes wide, jaws dropped low, Cinderella’s lulling tunes were quite calming. It was as if she had sprinkled fairy dust over the entire party and they were all wrapped up in her soothing spell. I too, believe in my mom’s philosophy of strong children and equality of the sexes. But, I have to admit, I never discouraged a love for princesses and I truly enjoyed the magic of Cinderella. I don’t know if it is because of the lack of princesses in my childhood or just my love for imaginative moments, but, our final princess party was truly a treat for mom too!